Top floor corner unit overlooking park. 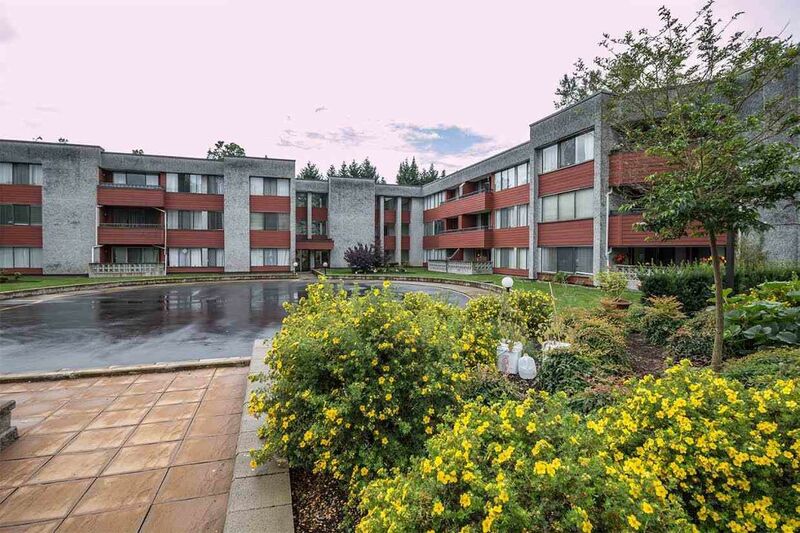 Bright 2 bedroom unit with a large balcony. Many updates in the unit which include newer windows, laminate and marble flooring throughout, air conditioning high end roller blinds and bathtub surround. Building in excellent condition with lots of updates. Newer roof, balconies, parking membrane, asphalt driveway, new elevator and plumbing. Short walk to Lougheed mall, skytrain, Elementary school, High school and Simon Fraser University. Maintenance fees include heat & hot water. Rentals not allowed. 2 small pets okay. Comes with one secured underground parking and one storage locker.All measurements are approximate.